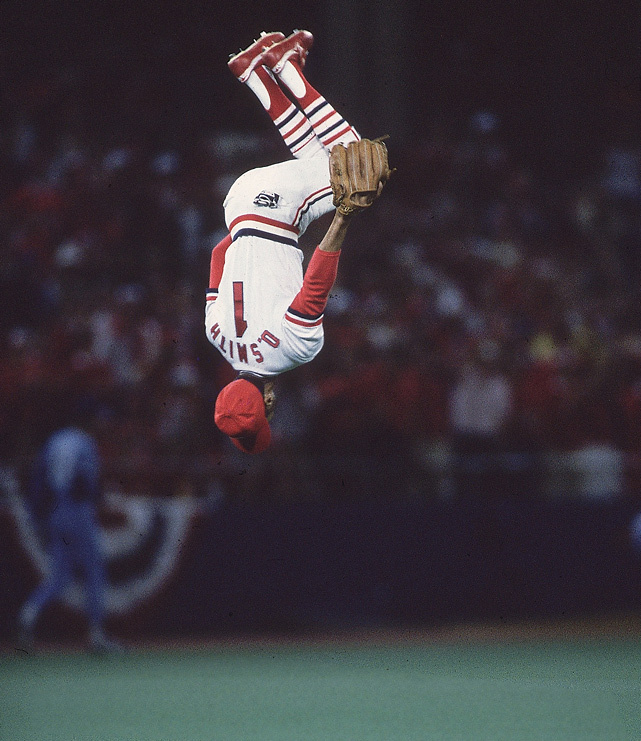 Ozzie Smith is the reason I’m a Cardinal fan. That’s probably not entirely accurate. After all, I live in an area that is dominated by the Cardinals. 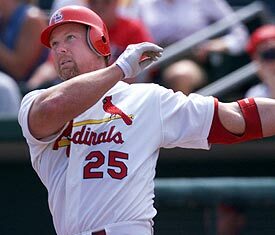 My father was a fan of the Redbirds well before I was born and even without the Wizard, odds are I’d have trended toward the birds on the bat anyway. Still, it was Ozzie that first captured my imagination and put me on the path to the obsession that you see before you today. I still remember being jealous that my brother wound up with an Ozzie Smith baseball card before I did the year we started collecting. (1987 Topps–he had the All-Star card. I believe I was the first to get the actual card from that set.) I still have a large collection of Ozzie cards and still remember how I came to acquire his rookie card, which sits in a frame right above this computer. There’s always someone that grabs you, isn’t there? Throughout this list, we’ve gone through a lot of great and not-so-great folks. I bet almost everyone one of you has a different entry point, a different player that set you on the path to lifelong fandom. Whether it was Bob Gibson or Stan Musial or Ozzie or Albert Pujols or Adam Wainwright, someone caught your eye and made you want to see more. No matter what, that player has a part of you, a sentimental part that still holds them dear, no matter their flaws. Every season gives the players another chance to grab the next generation and to make their mark on history. Who will stand out in 2015? Will we continue to see the run of Wainwright and Matt Holliday? Will Matt Adams take another step forward? Will Carlos Martinez burst on the scene and make us wonder why it took so long to give him a spot? Or will someone new make the biggest mark? I don’t know who, but I know someone will. After all, we’ve got 162 games for magic to happen. The odds are in our favor. Tomorrow, baseball, real baseball, is here. Let’s play ball.